Item # 301439 Stash Points: 5,195 (?) This is the number of points you get in The Zumiez Stash for purchasing this item. Stash points are redeemable for exclusive rewards only available to Zumiez Stash members. To redeem your points check out the rewards catalog on thestash.zumiez.com. 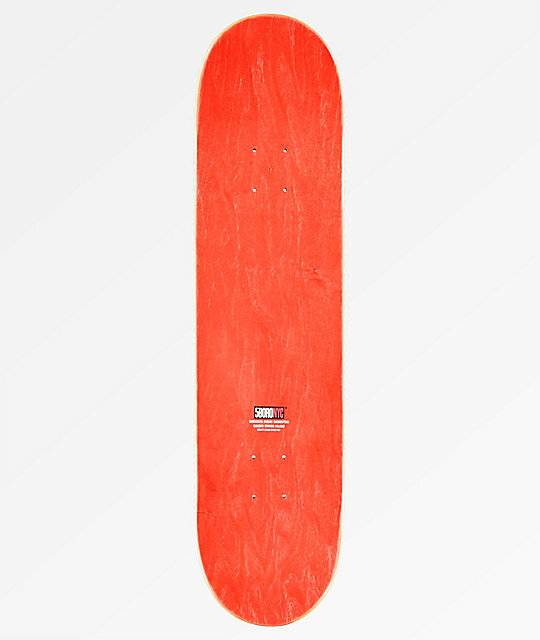 With blue and red tones throughout, 5Boro's Cinco Barrios 8.0" White Skateboard deck is draped in East Coast styling. Featured with a large Lady of Guadalupe motif at the center surrounded by logo text, this board offers that personal flair you've been seeking when shredding the streets. 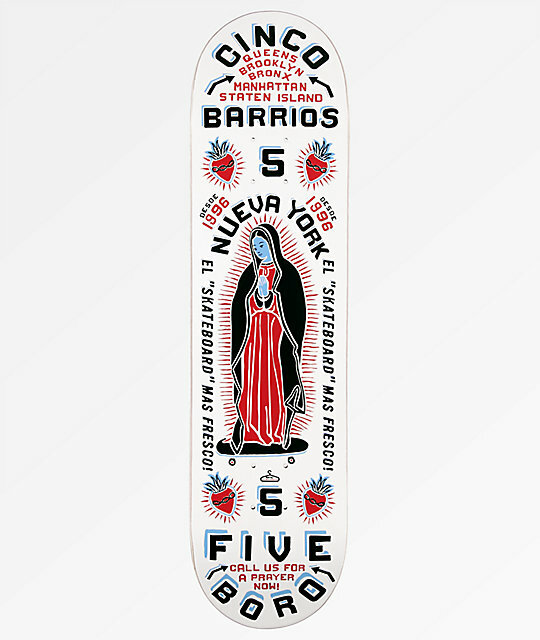 Cinco Barrios 8.0" White Skateboard Deck from 5Boro.